Author of “The Life-Changing Magic of Tidying Up” and star of her own Netflix series Marie Kondo is starting discussions about getting rid of the unnecessary items in everyday life. However, the process extends to more than the tangible. Decluttering digital data usually brings to mind going through your computer or phone and deleting non-essential photos, videos, documents, or apps, one slow click at a time. Much to the agony of this CNN business writer, who pleaded Marie Kondo for aid, digital decluttering often takes too much time — time that the average person does not have. Beyond simple cleaning tips, the internet also advice for people looking to start their own businesses. Are there people like that in your area? Do they work for a company or freelance? Is this a full-time job or part of a side business? Are they getting more demands? Also, go back to the physical, such as decluttering apps like LetGo. How many people in your area are using them? Have they had success? How do these apps make money, exactly? (Some are free; some are not.) You can start with a list of related apps here. If you remember the water cycle from elementary school, then you’ll know how this new technology works. Zero Mass Water uses solar-powered panels to collect water from the air, and can even transport water into your kitchen sink for convenient use. On the plus side, this technology can grant people access to clean water, particularly from arid climates. Unfortunately, the costs are still high for the average resident, and certain weather conditions, such as a certain temperature of humidity, must be met for Zero Mass Water to work effectively. The panels, however, are being used in more than 18 countries. Other companies, such as WaterGen, don’t use solar technology and hopes to replace water coolers, generating gallons of clean water. Like Zero Mass Water, this product is used in different countries, but also in U.S. hospitals and in the Army. 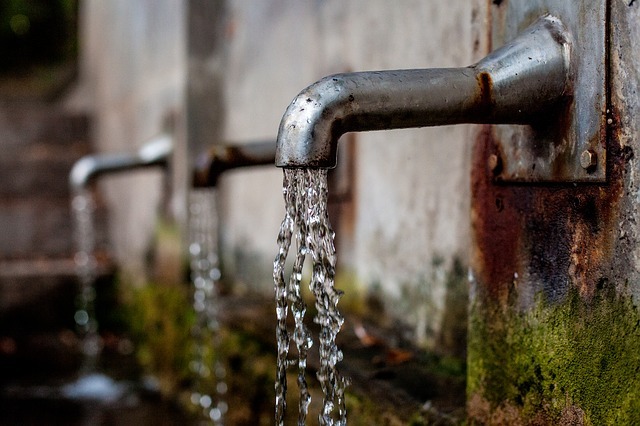 The World Health Organization reports that 844 million people do not have access to clean drinking water, and the problem will get worse. By 2025, half of the world will be affected, living in “water-stressed areas.” This is already a problem in middle to low-income countries and in the U.S. itself. These technologies may not replace traditional sources, but it can still be useful in areas where water is hard to come by, such as Arizona. It is worth looking into these start-ups and their missions, as well as if they’re being used in businesses or other institutions. How will this affect water-scarce areas? The New York Times announced an ongoing case happening this week, where UnitedHealth Group is trying to prevent one of their former executives from moving to an independent company. This company is owned by Amazon, Berkshire Hathaway, and JPMorgan Chase, intended to deliver healthcare to their own employees. UnitedHealth Group says that their former employee has acquired “confidential” information from them, fearing competition. Consider the effect, often referred to as “disruption,” on the overall healthcare industry, but also the patients. Will these mergers really give more patients access to convenient, cheaper healthcare? Will quality decline? Many Americans, for example, receive healthcare through employers. Why may these people turn to such companies?